Homegroup is an amazing feature of the Windows operating system. It has been a part of the fabulous features of Windows OS with many years. The latest version of Windows OS that is Windows 10 also having the same feature in it. Homegroup is a great choice if someone would like to share the files of one major PC/laptop to other minor PC/laptop without transferring files/folders manually. Windows allows users to create a homegroup in order to share files or printers with other PCs. 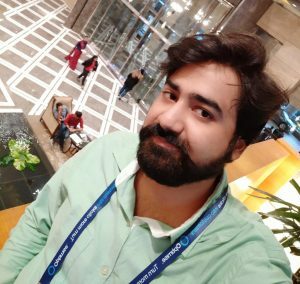 Today, I am gonna teach you how you can create a Homegroup in Windows 10. Also, do you know that you can run Android apps on Windows 10 without any Android emulator? I think you should check it out. Homegroup is a kind of sharing network which is created by a user so that the files and printers can be shared. Anyone who is connected to a homegroup can share or access files pictures, music, videos, documents, and printers very easily. Basically, the homegroup feature makes a group of several PCs on the one home network. But, no one can connect to the homegroup without having the password of that connection which is very confidential. When someone creates a homegroup then he or she has to choose the privilege and contents which he/she want to share. Once someone has joined the homegroup after that he or she can access everything which is privileged by the owner of the homegroup. 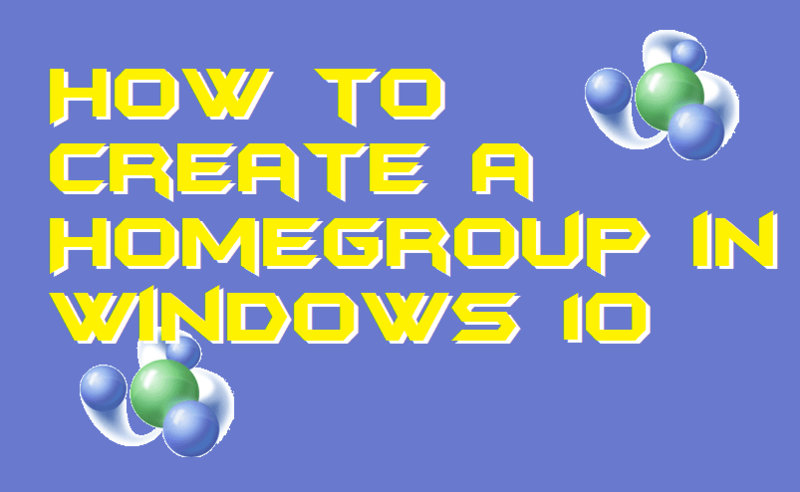 There are very few steps which you have to follow in order to create a Homegroup in Windows 10. But, before you start creating a homegroup for you there is one thing which you must remember and one thing should be done. Make sure that you have turned on the sharing option of your network by which you are connected right now. If not, then you can find the option to do so at the homepage of the homegroup option. Once it is done, then you can follow up the guide which is affirmed below. On your Windows 10 system, open Control Panel. Then, click on the Homegroup option. Now, click on the Create a Homegroup button. After that, click on Next and then select the files and devices which you want to share. Once you have selected what content you want to share then you should click on the Next button. On the next page, you will get the password of your Homegroup. Just copy it and finally click on the Finish button. If you are unable to create a Homegroup in Windows 10 then there is a quick way by which you can fix it. What options you can try to resolve this issue is that try to reboot your Windows 10 PC/laptop. Sometimes, rebooting makes the miracle. But, somehow if it is not fixed after doing it then do one thing. Go to the Settings and reset your PC, so that your PC will be revert to the default settings and everything will be fine. And yes, after that you will be able to create a Homegroup in Windows 10. This was all about how you have to create a Homegroup in Windows 10 PC/laptop. Obviously, there is some software available on the internet which allows you to create a homegroup and share the content of your PC. But, this software used to copy all your data in their databases. Thus, I will not recommend you that you should use it. So, make sure you learn this method and create a Homegroup in Windows 10 yourself. Somehow, if you wish to change language in Windows 10 then don’t worry here is the solution. I hope using this article you have now learned that how you can create a Homegroup in Windows 10. Share this article with your friends and family members so that they can also learn the same.